So that anointed one is a messenger, a prophet, delivering a message delivered also by other prophets. The more I investigate the Scrolls and Daniel and Daniel’s sole reference to an anointed one in particular, the less clear it is to me that the community attached to these scrolls had any special interest in the coming of this “anointed” prophetic figure, and far less in expecting him to turn up in their own day, and certainly not with any special eschatological function. But, but, but…. Don’t we only have a fraction of the original Qumran collection? Could not those writings now lost to us have been infused with speculations about Daniel’s anointed one? Mark is a narrative about a messiah. But despite all of its fascination with the book of Daniel there is not one single hint in it that the “anointed one” of Daniel 9 elicited any interest whatsoever. And in neither the Gospel nor the Qumran writings is there any indication at all of date-setting, calculations to indicate something imminent, etc. Indeed, Jesus in the Gospels insists that the day and hour are unknown. Daniel was an apocalypse anticipating God’s final judgements and rewards but it was not read as a book about messianic hopes according to our earliest “Christian” witnesses. Recall that the apocalyptic hypothesis (above) has befogged conventional searches for messianic origins in the centuries up to the time of the birth of Christianity. A work can be apocalyptic, it can be inspired by all sorts of eschatological visions and prophecies, but none of that means it has to speak about a messiah. And most apocalyptic works of the era don’t. Listen to the silence and what do you hear? 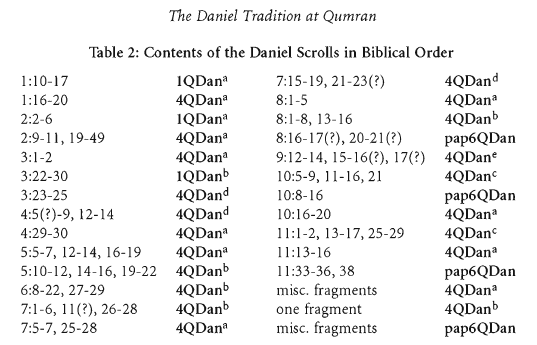 Richard Carrier’s appeal to Peter Flint’s chapter (footnote #46) successfully support his claim that the book of Daniel was a very important text and was even considered to be Scripture at Qumran. No surprise that this should be so when we recollect that like the original audience of Daniel’s prophecies, the Qumran community also saw itself driven out and persecuted and surrounded by apostate Jews. But it does not follow that interest in Daniel focused on messianic ideas. Consider another set of early Christian writings, the New Testament letters attributed to the apostles. A messiah figure dominates those scribblings. There are concerns to establish credentials and beliefs against nonbelievers and mavericks. Yet nowhere is there a hint that anyone thought to consult the calculations from Daniel’s prophecies to prove that Jesus was the real thing. Same with Acts despite all the opportunities to do so in those narrated attempts to prove to unbelieving Jews that Jesus was the messiah despite or rather because of his death? Carrier emphatically asserts that it was Daniel 9 that was the prophecy Josephus claimed was exciting the Jews to keep up their fight against Rome. But see my previous post for a more nuanced appreciation of the plausibility of this suggestion. Besides, if the calculations really pointed to the early first century then one wonders how they supposedly inspired some form of maniacal violence forty years, a generation or two, later. Several examples of these calculations survive in early Christian literature, the clearest appearing in Julius Africanus in the third century.47 The date there calculated is precisely 30 CE; hence it was expected on this calculation (which was simple and straightforward enough that anyone could easily have come up with the same result well before the rise of Christianity) that a messiah would arise and be killed in that year (as we saw Daniel had ‘predicted’ in 9.26: see Element 5), which is an obvious basis for setting the gospel story precisely then . . . , or else a basis for believing that, of all messianic claimants, ‘our’ Jesus Christ was the one for real. 47. Julius Africanus, in his lost History of the World, which excerpt survives in the collection of George Syncellus, Excerpts of Chronography 18.2. Other examples of this kind of calculation survive in Tertullian, Answer to the Jews 8, and Clement of Alexandria, Miscellanies 1.21.(125-26). I do agree with Carrier’s main thesis in Element 5, that some Jews did expect a dying messiah. But Daniel 9 alone does not give rise to that belief. It was primarily about Onias III, don’t forget. This is a discussion for another time, however. Meanwhile anyone interested can review my posts on Boyarin’s and Hengel’s discussions. 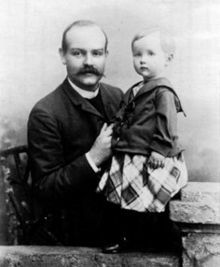 This series of posts does not deny a wide variety of messianic ideas at the time; it is attempting to point out the lack of evidence we have for messianic fever. Arguments from silence carry weight when we have very good reasons to expect lots of noise. If, as Carrier suggests, there really was a keen interest among messianic groups of various kinds for dating the arrival of the messiah to around 30 CE from the book of Daniel we would surely have a right to expect evidence to support that scenario. I have pointed above to some of that deafening silence in the Gospels, New Testament epistles and Acts. So I believe Carrier been courageous in declaring the “clearest” evidence for his argument comes from the third century! (Although see Tertullian, chapter 8, and Clement 1:21). Roger Pearse has made available online excerpts from Syncellus’s Chronography. I have not read those but I have read the relevant sections of the full work and one thing is clear: Syncellus did not start with Daniel’s prophecies and work out a time-table to see where it ended up. He began with the “infallible” rock of Luke 3:1 that declares the whole story began in the fifteenth year of emperor Tiberius. That is, he cheated. To make Daniel’s 490 years fit, he had to convert lunar years to solar years and even then find ways to fudge the results. It’s a most interesting read, seeing what mental contortions he put himself through to make it all work out. It is very obvious why no-one in the early first century ever calculated Daniel’s prophetic weeks to culminate in 30 CE. What Syncellus, Tertullian and Clement were doing was working backwards, not forwards, to find various ways to make the numbers fit. Had there been straightforward ways of seeing how Daniel’s numbers all pointed to 30 CE among the scribes at that time, and if word had leaked out to the general population to fuel messianic movements, I think we would have a right to expect some evidence of this in our earliest Christian writings, certainly before the late second and third centuries apologists. Flint, Peter W. 1997. “The Daniel Tradition at Qumran”. In Eschatology, Messianism, and the Dead Sea Scrolls, edited by Craig A. Evans and Peter W. Flint, 41-60. Grand Rapids, Mich: Wm. B. Eerdmans. Georgios, Synkellos. 2002. The Chronography of George Synkellos: A Byzantine Chronicle of Universal History from the Creation. Translated by William Adler. New York ; Oxford: OUP. Kee, Howard C. 1975. “The Function of Scriptural Quotations and Allustions In Mark 11-16.” In Jesus Und Paulus : Festschrift F. Werner Georg Keummel Z. 70. Geburstag, 165-188. Gottingen; Vandenhoeck & Ruprecht. Mack, B. L. 2009. “The Christ and Jewish Wisdom.” In The Messiah: Developments in Earliest Judaism and Christianity, edited by James H. Charlesworth, 192-221. Minneapolis; Fortress Press. Ulrich, Eugene. 1987. “Daniel Manuscripts from Qumran. Part 1: A Preliminary Edition of 4 QDana.” Bulletin of the American Schools of Oriental Research, no. 268: 17–37. doi:10.2307/1356992. Wise, Michael, Abegg, Martin and Cook, Edward. 2005. The Dead Sea Scrolls: A New Translation. San Francisco: Harper. Posted on 2016-08-01 11:00:25 GMT+0000 by Neil Godfrey. This entry was posted in Messianism and tagged Carrier: On the Historicity of Jesus, Messianism, Second Temple messianism. Bookmark the permalink. Far be it from me to question “specialist scholars”, but I’m wondering how they deal with the very nose on the documentary face in the first century CE. (Daniel is too far back to necessitate that it automatically has to reflect and be a part of an early stage of that first century phenomenon; but I think it helped give rise to it.) I’m not going to argue all this in detail but just raise some rather obvious (to me) pointers. The Gospels clearly reflect messianic expectation, and refer to a view of Jesus as “the messiah” (the Petrine Mark’s declaration that Jesus “is the Messiah”) with an obvious understanding of what that meant for both a writer like Mark and his readers, no need for explanation. The only way to get around that is to shove them all into the second century, even after the second Jewish revolt. I’m not the only one who can’t accept that late dating, which within the present debate would smack of circularity. Then there’s the Similitudes of Enoch, which presents an expected messiah figure (given other titles as well) who reflects much of the supposed messianic expectation traditionally assigned to the times. Once again, late dating of this work, or even the Similitudes portion, is self-serving and hardly to be unquestioned, and many do place it within the first century. What of the messiah references in the Odes of Solomon? Dating of this work is increasingly pushed back from some very questionable late dating we used to see (Milik’s is all but rejected as untenable now) and it makes better sense to place it in the late first century and even prior to any Gospels. Its “Messiah” is mystically presented, as is so much else in these Odes, but usage of the term suggests it was current in other contexts. In passing, let’s not ignore Josephus, who while he studiously avoided the term, gives witness in the late first century of a tradition of Jewish prophecy which can only refer to messianic expectation of the traditional sort, even if he reinterprets it for his own purposes. Then there’s Q. Ah yes, Q. On the conclusion/assumption that Q existed, it had to predate the Gospels, and while it does not use the term “messiah”, its prophesied figure of the Son of Man (no doubt derived in great measure from Daniel) is a messianic idea in all but name. Mark shows that the Son of Man idea and the Messiah idea are being deliberately conjoined, more than suggesting that the latter was a prominent idea that had to be accommodated with the other one; probably they were in some kind of competition in apocalyptic expectation of the day. By the way, one reason why I cannot argue this or other issues in depth now is that I have gotten rid of virtually all my library of scholarly and source books (this city’s library is now very rich in biblical academic works), due to profound changes in my life in the last couple of years, which will be an indicator of my degree of disengagement with the Jesus mythicism business. Trouble is, every now and then I feel an urge to comment on various debates, relying on my memory (!) and of course my own published books on the subject. My reference to “specialist scholars” was not an appeal to authority but a rejoinder to Richard Carrier’s own claim, referenced in the first post, that it is “scholars specializing in messianism” who support his and the traditional wisdom. They don’t. I think it is telling that Carrier relies heavily on one such as Craig Evans. 2. that there was a wide variety of messianic views through the Second Temple era. That goes without saying, and in fact is a contributory support to the thesis presented in these posts. What is disputed is the scenario of the popular (and even scribal) movements eagerly anticipating a messiah to appear imminently. Yes, Paul’s whole focus is on a Messiah. But I do not see evidence for the “messianic myth” of imminent messianic expectations in his writings. Apocalypticism, yes. But not the scenario Carrier is disputing. I will address again when I have more opportunity, and in more depth, your points over specific Second Temple texts. And no, I do not resort to late dating. Nor do I rely on a no-Q model. …4Then Jesus told them, “A prophet is without honor only in his hometown, among his relatives, and in his own household.” 5So He could not perform any miracles there, except to lay His hands on a few of the sick and heal them (Mark 6:5). Earl, if Mark has Jesus identify himself here as a fallible human prophet who can’t perform miracles in his home town, and Jesus in fact cannot perform miracles in his home town, wouldn’t it make sense to say Mark didn’t view Jesus as a “dying/rising God,” but rather as a “fallible human prophet?” If Jesus was a “god,” shouldn’t he be able to perform miracles in his home town? Doesn’t this piece of recalcitrant evidence present a more original version of what Mark thought about Jesus, and cancel out the legendary embellishment as being representative as a later addition? Far be it from me to question “specialist scholars”, but I’m wondering how they deal with the very nose on the documentary face in the first century CE. I don’t follow you, Earl. The arguments are based squarely on the first century CE documents. What is it about the argument that appears to defy the first century CE documents? That’s the very point this post addressed. Presumably you found the argument lacking. I would appreciate a critical engagement with the argument made in that case. I’m not going to argue all this in detail but just raise some rather obvious (to me) pointers. The Gospels clearly reflect messianic expectation, and refer to a view of Jesus as “the messiah” (the Petrine Mark’s declaration that Jesus “is the Messiah”) with an obvious understanding of what that meant for both a writer like Mark and his readers, no need for explanation. Yes, indeed, and I have said as much in this series of posts. I don’t understand why you think this poses a problem for the argument made here. The only way to get around that is to shove them all into the second century, even after the second Jewish revolt. I’m not the only one who can’t accept that late dating, which within the present debate would smack of circularity. The argument in these posts has not attempted to “get around that” but finds no problem with that. No unconventional late dates have been proposed for anything. Yes indeed we have the Similitudes of Enoch but I don’t understand why you seem to think I am dating it late. I don’t. First century is just fine with me. But we need to be clear about what we mean by “expected messiah”. Certainly the Similitudes associate the Anointed One with end-time judgment, and I have already stressed that such an association was an exception in the literature of the day (the day = first century CE), not the rule. Enoch does not speak of a messiah coming to rule on earth and there is no evidence that the figure was expected “very soon” from any early first century perspective. You say the work “reflects much of the supposed messianic expectation traditionally assigned to the time” but it is that supposition that we are arguing lacks supporting evidence. Your reasoning here appears to be circular. Does not the traditional supposition involve a messiah figure coming to rescue the saints or Israel from persecution and/or foreign rulers. That’s not the Enochian figure. What is it about the Odes’ references to a messiah that speaks to a “messianic expectation”? Once again, you seem to be assuming a context and reference for which we have no evidence. I invite you to read the previous post in this series where I addressed that argument. Or if you have done so, can you engage with what you found amiss there. This ties in with the various points made earlier about the Christian sources but I fail to see how your remarks engage with the arguments. Incidentally, I will mention here that I think the biggest flaw (in some respects the only significant one) in Carrier’s book is his ready dismissal of Q, based on very little argument whatsoever other than the simplistic one we’ve heard too often: oh, Q really isn’t necessary since we can just assume the simpler (a la Occam) option that Luke copied Matthew; Goodacre and predecessors present us with a virtually unchallengable no-Q position. I agree, and have expressed that same point both here and elsewhere. I am disappointed sometimes over the casual dismissal of Q one encounters. The question deserves and requires an in depth study of the details of the arguments on both sides. Too many do express an unsatisfactory almost casual dismissal of the alternative. But I think the fault often lies on both sides: some of those on the Q side do not indicate any serious attempt to understand the more serious arguments for Luke’s use of Matthew. Both sides too often take up adversarial positions. Well, I beg to differ. I and many other scholars (more legitimate than myself, of course) have long pointed out the flaws in Goodacre, and Carrier simply does not address them at all. I have seen arguments against Goodacre’s views but not the establishment of definitive flaws. I understood there is still room for debate. You disagree, it seems. Was that on Crosstalk? I will try to track that down. I would appreciate you being open and telling me exactly what other issues you mean. If you are speaking about issues relating to terrorism, I recall you once saying you thought Vridar to be an appropriate place to discuss such things. * But you have not participated in any engagement with views you find distasteful. If you believe my understanding is limited I would expect you to explain to me where I am lacking and to engage in serious discussion so neither of us is limited to but a partial picture. the key issues of the day are at least as important as the investigation of Christian origins and the existence of Jesus. I think it’s a good thing that Vridar can encompass them all, hopefully in an atmosphere of fair and civilized discourse. Great…many commentators too eagerly equate apocalypticism with messianism.